Carhartt might not be one of the most popular work boot brands in the world, but they are making their way to the top with some excellent boots that have proven to withstand the tough things life throws at it. 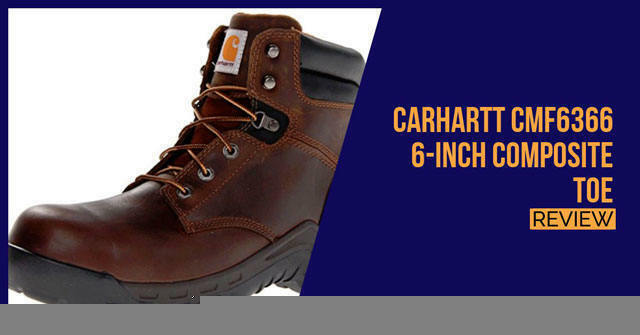 The Carhartt CMF6366 is one of the lighter boots we have on the list and it certainly features multiple features that should help you with your job. 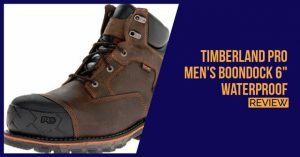 The boot is made from premium leather materials and the rugged outer sole features numerous features and a unique lug pattern that will keep you from slipping. The Rugged Flex technology is one of the top features they bring to the table and it enables the boot to stretch a little more than your solid leather boots. 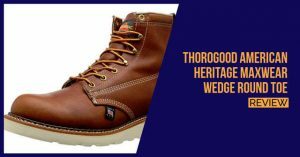 This means that even if you have wider feet, the boot will adapt and eventually mold to the shape of your feet to provide you with some more comfort. 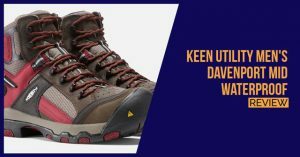 One of our favorite features aside from the lighter and more durable composite toe that has been included will be the shock absorbing technology and if you have to move through rugged terrains, this offers protection for your joints as well as keeping you from enduring too much pain from jumping. It is great for reducing fatigue. 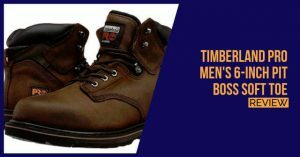 The boot is really affordable compared to boots from more well-known brands with similar features. We like the boot for the affordability and the fact that you will still be enabled to keep yourself protected without having to break the back. It is mostly recommended for outdoor users and construction workers.